On April 10-13, 2017, some of the brightest minds in email marketing will be hitting the Las Vegas Strip to be a part of the marketing summit that you don’t want to miss. MarketingSherpa 2017—held at the Aria Resort and Casino—will be featuring a lineup of the industry’s most ambitious and forward-thinking speakers. In addition to some fabulous content, the summit will also feature an expo hall, round table discussions, coaching clinics, solutions showcases, and the party of the year—all in just 2 days! Want to meet the Return Path Team? There are several opportunities for you talk to an email expert from Return Path. Check out our Solutions Showcase Goldilocks and the Three Email Marketers: Getting Send Frequency “Just Right” presented by our CMO, Daniel Incandela and Sales Enablement Leader, Jake Curtis. This session will take place on Tuesday, April 11th at 12:50pm. You can also attend one of our two roundtable sessions: Getting Send Frequency “Just Right” hosted by Jake Curtis, or What’s Your Tab? Understanding & Improving Gmail Placement hosted by Kristina Ek, Technical Account Manager. Sign up to catch one of these great discussions. Want to meet with an email expert one on one? 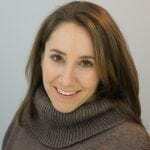 Return Path’s Email Strategist, Casey Swanton will be hosting coaching clinics. Sign up to learn more about message optimization, deliverability, or competitive intelligence. These 30 minute sessions are a great way to learn more in depth about your email program. If you are still looking for more ways to check out all that Return Path has to offer, stop by booth #305 in the expo hall to meet the team or RSVP to join us at our “Marketer’s Night Out” event on April 12th at Alibi Nightclub in the Aria. This event will be co-hosted by Return Path, BriteVerify, and Smarter HQ.